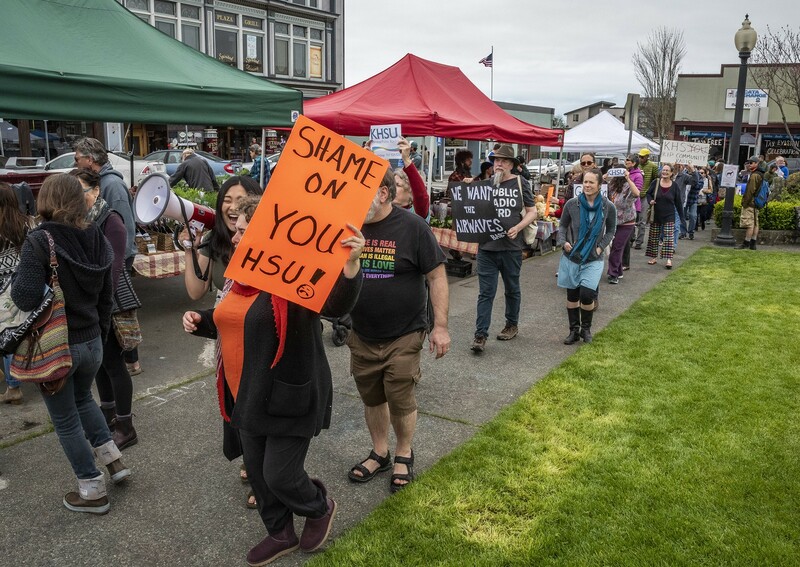 Demonstrators unhappy with the firing of KHSU staffers and the suspension of local programming gathered into a protest walk around the farmers market area. 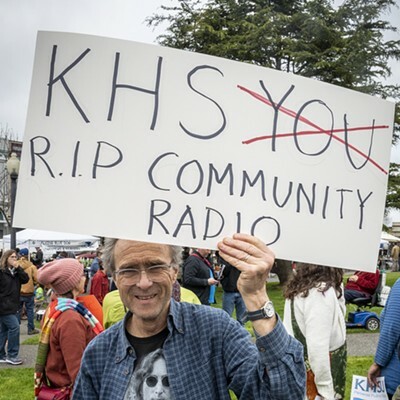 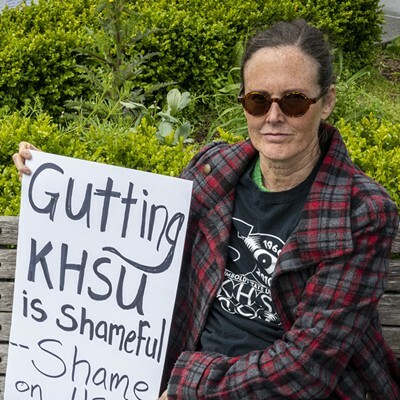 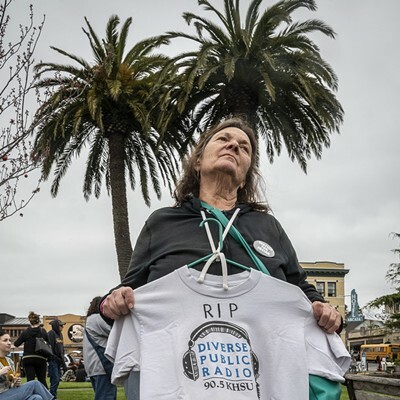 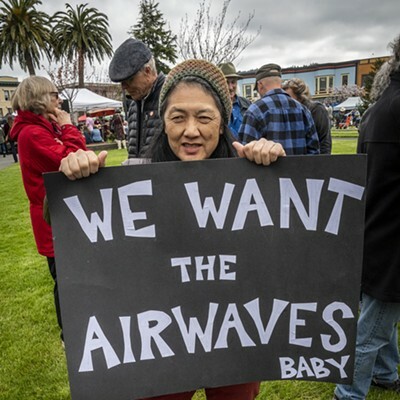 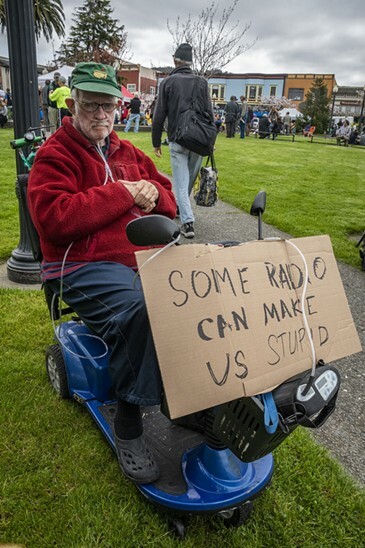 More than 100 protestors gathered on the Arcata Plaza on Saturday morning to share their frustrations, sadness and anger about Humboldt State University's decision on Thursday to cut the community programming volunteers and most of the staff at KHSU-FM. 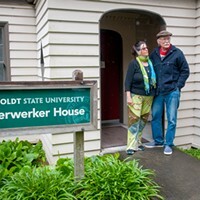 (The remaining two staff members David Reed and Natalya Estrada have since resigned, as well.) 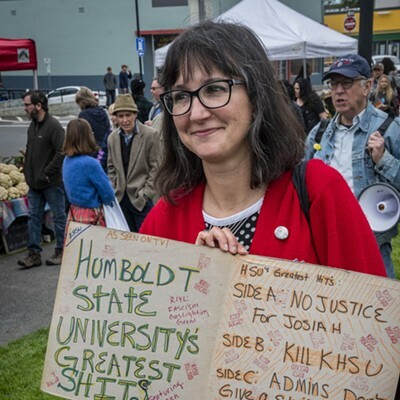 The protesters mingled and shared theories about HSU's motives, before organizing into a protest march around the farmers market area on the plaza. 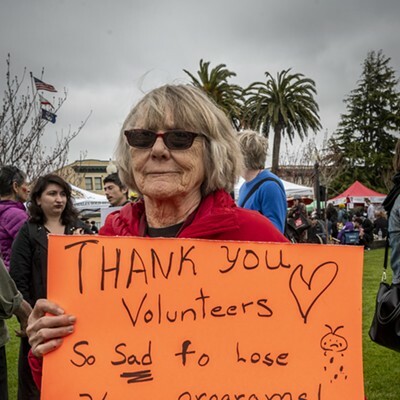 See photos in the slideshow below. 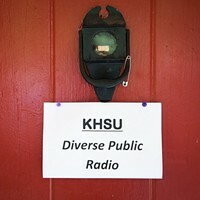 "The fact that they did this right after the recent fund drive shows what a bad neighbor HSU has become," said Rick Levin, a former underwriter, volunteer musician for live shows and on-air helper during pledge drives. 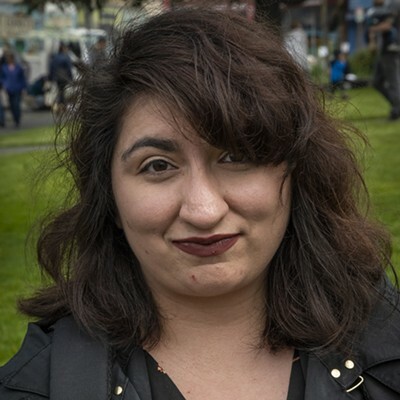 "And now they're blaming the community for not supporting it enough." 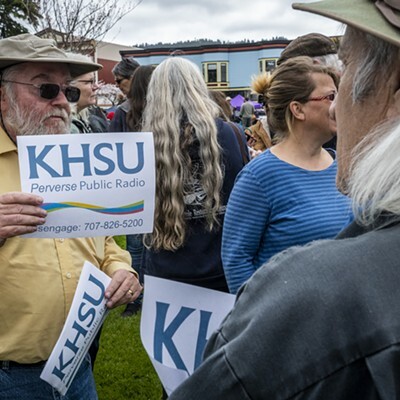 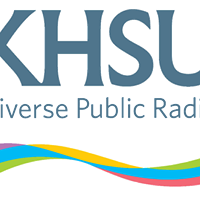 Many offered their support to the recently fired KHSU staffers present at the demonstration, while others were in early stages of grief over losing local programming on KHSU and the volunteers who produced it. 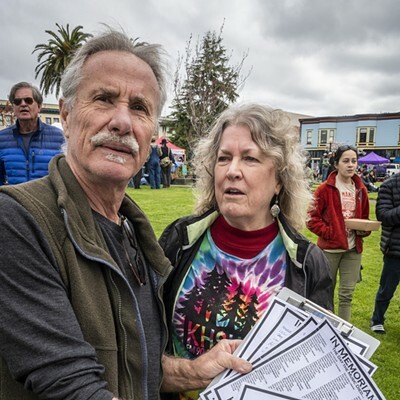 A few gathered names and emails to help publicize future events, and brainstormed plans for responding in the future.